It culminated in a surreal manner at the Mexico leg of the World Golf Championships in March when the Indian led by two strokes after three rounds. 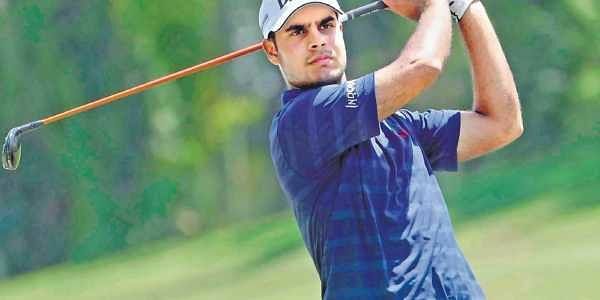 CHENNAI: When Shubhankar Sharma walked up to President Ram Nath Kovind to receive the Arjuna Award on Tuesday, it completed a remarkable year for the 22-year-old who had just finished his first full season on the European and the PGA Tour. In the last week of September 2017, he was ranked 458 in the world. Outside the fraternity, it was still a case of ‘Shubhankar who?’ That changed in a barely believable four-month period between October 2017 and February 2018 when he kept winning. Two wins on the PGTI (TAKE Open Golf Championship and the McLeod Russel Tour Championship) and two wins on the European Tour (Maybank Malaysia Open and Joburg Open) had heralded the rise of a new emperor. World No 458 in September became No 64 (he is now No 108) in less than 120 days. It culminated in a surreal manner at the Mexico leg of the World Golf Championships in March when the Indian led by two strokes after three rounds. Just when the rookie had the world’s attention, he stumbled with a three-over 74 to finish T9. But he had already been noticed. “Last 12 months have been like a dream,” he tells Express. After his showing in Mexico, an invite to the Masters quickly followed. He also featured in the other three Majors, thus becoming one of the very few Indians to have appeared in all four in the calendar year. “Playing in all four Majors in my rookie year outside of Asia has been a tremendous experience. It has given me a completely different insight into golf, from within. Up next for the Delhi boy is to maintain his lead on the Asian Tour Money Leader list. To this effect, he will turn out at the Taiwan Masters beginning on Thursday.